This database features a powerful weapon against the Modern Benoni - the Taimanov Attack. Being able to effectively cope with this very popular defense is crucial for the success of a 1.d4 player. I am convinced that the repertoire covered in this database provides the required knowledge to achieve an opening edge. Playing the Benoni only when they face 3.Nf3 or 3.g3 and the Nimzoindian in case their opponents play 3.Nc3 Bb4. It’s very important to keep in mind that, if you don’t want to get deviated from the Taimanov Attack, you must be prepared to allow the Nimzo-Indian defense. 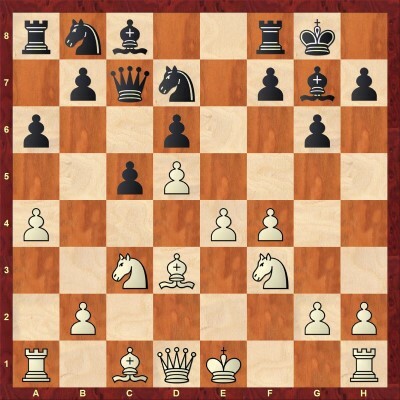 By the way, this has a very beneficial impact in your repertoire, as you will be able to attack the Orthodox Defence with the dangerous exchange variation, a line where White’s kingside knight is developed via e2, something that is impossible to play in case of 3.Nf3. Now let me briefly describe the contents of every chapter. To start, in Chapter 1, I will cover the details of the imprecise 8...Bd7. After it, White’s chances are much better in every line. In the games played with this line, White is usually fighting to impose its material advantage right from the end of the opening. In Chapter 2 the details of the risky 8...Nbd7 are covered. This line was considered playable for Black in the 90’s and was played by some very strong players. It leads to unbalanced material positions that were always considered advantageous for White though Black used to get reasonable drawing chances. 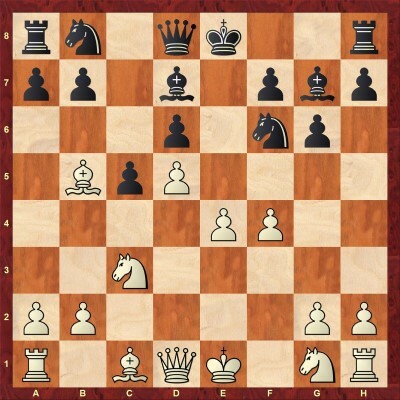 All changed after the appearance of 17.Bf1 then White’s advantage became clear. Nowadays the perspectives of this line are pretty gloom for Black. 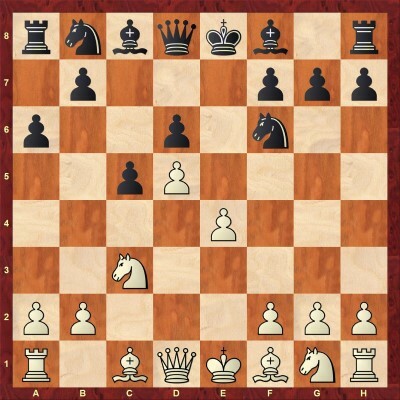 Therefore is clear that Black is forced to play 8...Nfd7. 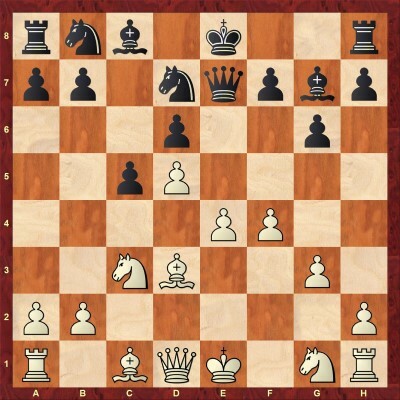 Nevertheless, there are some dubious, but popular, ways to avoid the cunning 8.Bb5+. 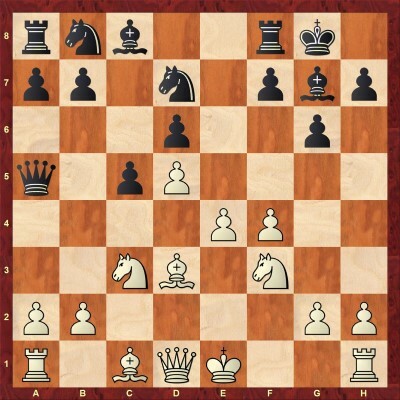 In Chapter 3, we will deal with those lines that try to avoid the Taimanov Attack and will try to explain a clear-cut road to acquiring an advantage for White. Once we clearly understand the reasons that make 8...Nfd7 the only viable possibility, we will start studying the lines that arise after 9. Bd3. It’s worth noting that even when 9.a4 is more popular than our featured line, there are some reasons for choosing the classical 9. Bd3 as our main line. Possibly the most important of them is that after 9.a4 0-0 10.Nf3 Na6 11.0-0 Black has the annoying 11...Nb4. In Chapter 4 we will deal with the position that arises after the following sequence 8...Nfd7 9. Bd3 Qh4+ 10.g3 Qe7. Forcing g3 improves Black’s light-squared bishop's chances. As the Black queen sometimes finds itself exposed in e7 is not surprising that returning it directly to its original square, 10.g3 Qd8, is a viable choice. This line is going to be covered in Chapter 5. 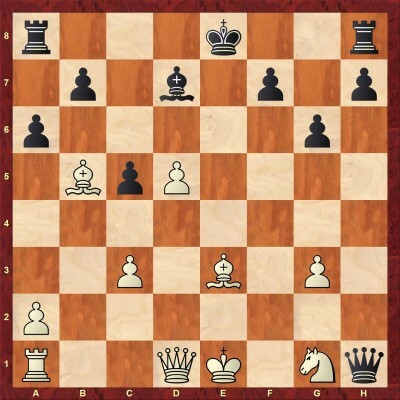 After the more usual 9...0-0 10.Nf3 Black may try to sidestep the main line with a couple of interesting options. First, we’ll examine the details of 10...Qa5 in Chapter 6. This move puts some pressure on White’s queenside and simultaneously intends to use the queen as a support for the queenside pawn majority. White needs to proceed carefully to gain the advantage. Playing e4-e5 and consolidating or using its central space advantage. 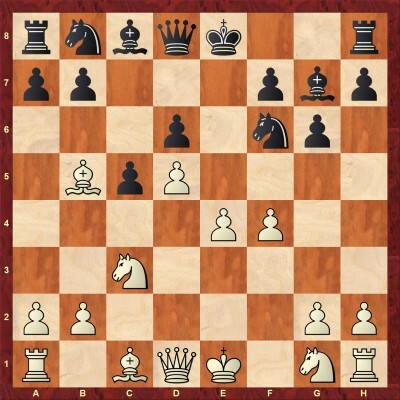 Playing e4-e5 with the intention of answering Black’s …de5 with f4-f5, gaining an important central square for his knight. Playing f4-f5 trying to accumulate its forces in the kingside. Playing a4-a5 with the intention of restricting and weakening the enemy’s queenside. In Chapter 7 we will deal with the more popular 10...a6 11.a4 Qc7. 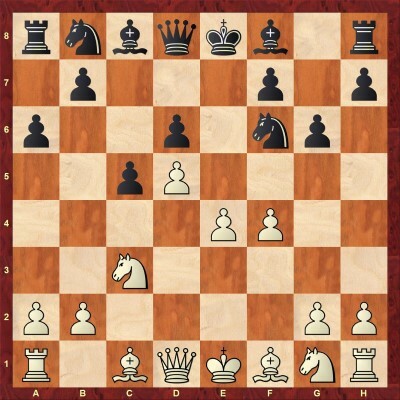 In this chapter, I also deal with the move 11...Qa5 which fails to equalize. In this line Black prepares the thematic push c5-c4, gaining some maneuvering space. In general, Black wants to follow with c5-c4 and Nc5. 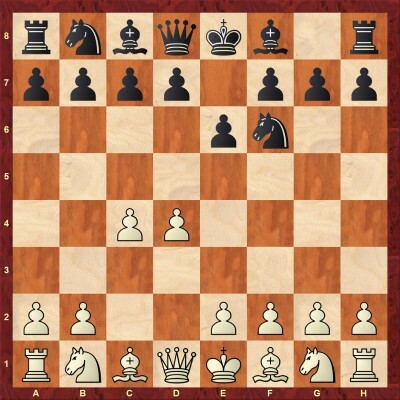 When the knight goes far away from the e5-square, the plans with f4-f5 and subsequent kingside attack become very strong. White keeps the advantage in all the lines. 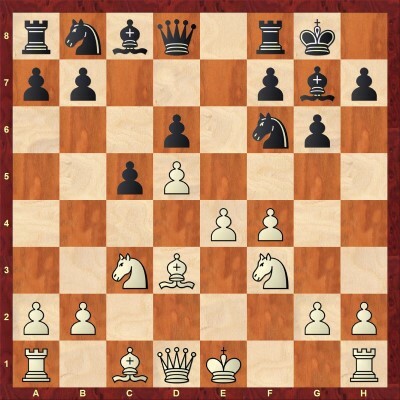 Chapter 8 covers 10...Na6, which is the most important line from a practical point of view as its popularity is very high and at the same time is considered by many experts to be the main try for Black. Black continues the development with the clear intention of supporting his pawn majority with …Nc7, ...Rb8, ...a7-a6 and ...b7-b5. On the other hand, White’s play is very instructive for its flexible approach. White’s plans are flexible and depend, pretty much, on Black’s actions. To my mind, White’s position is very promising. I will deal with the ins and outs of 10...Nf6 in Chapter 9. If I was going to play the Modern Benoni with Black, I would undoubtedly choose 10...Nf6 as the idea is simple and leads to solid positions. Black tries to increase his control of e5-square while speeding up the development of the queenside with ...Bg4, ...Nbd7 and... Bxf3. The arising positions are very similar to those studied in Chapter 5 but with the big difference that in the present line Black refrains from spending a tempo by playing 9...Qh4+. Black’s natural development makes it look too easy for Black but, fortunately for White, the position is much more subtle than it appears. 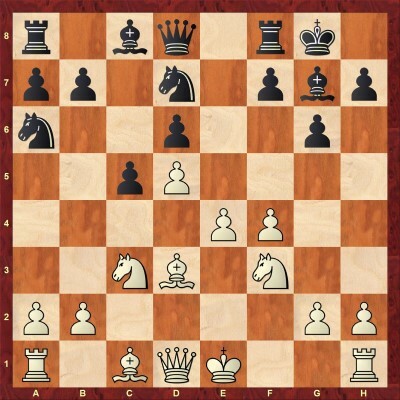 White's chances of acquiring an opening edge against 10...Nf6 are very good. 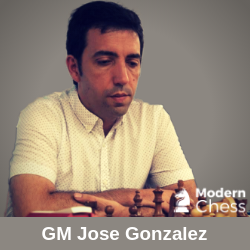 In this section, you will find 20 interactive exercises which illustrate the all the key tactical and strategical ideas in the database. Below, you will find 5 of them.